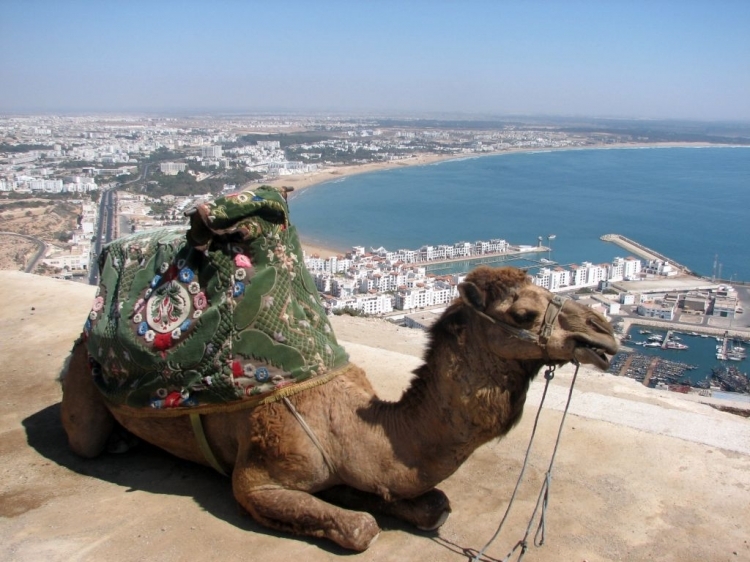 Tour : Marrakech, Atlantic coast & anti-Atlas 6 Days : Tours And Excursions Organization, Travel to Morocco, Morocco Tour, Morocco Mountain Guide. 1 Day : Marrakech, Essaouira. A day dedicated to relaxation and swim. 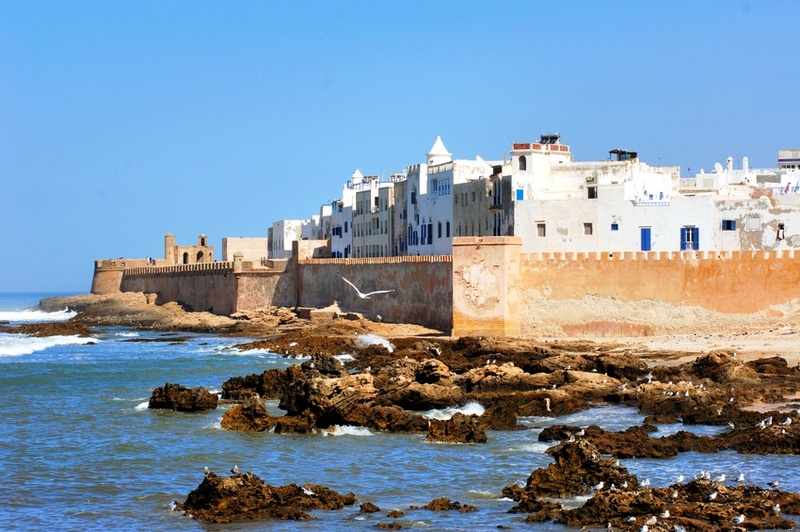 In Essaouira, white and blue are kings; Mogador is a shelter for the Portuguese, French and Berber architecture. 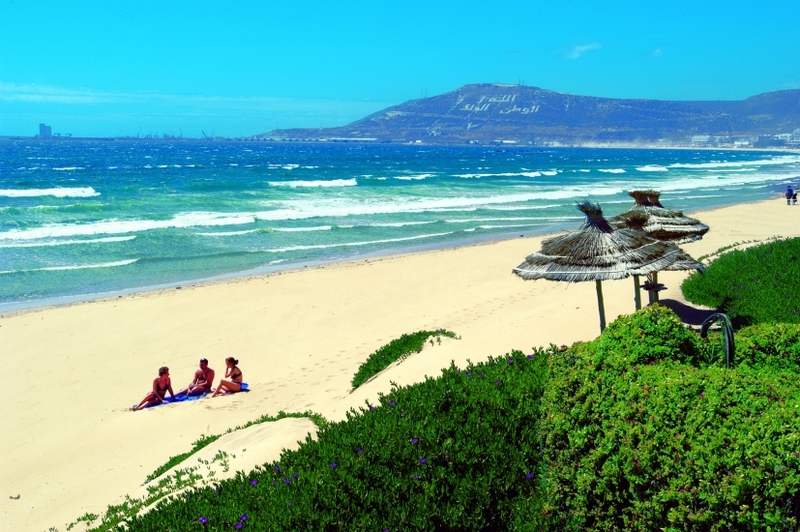 With white lime fortifications, peaceful squares, hospitable Riads and cafes, Gnaoui music that reflects the African depth of Morocco, delicious fish and tireless wind that makes this city a paradise for nautical sports. You can choose between a hotel or a Riad to have diner and spend the night. 2 Day : Essaouira, Agadir. 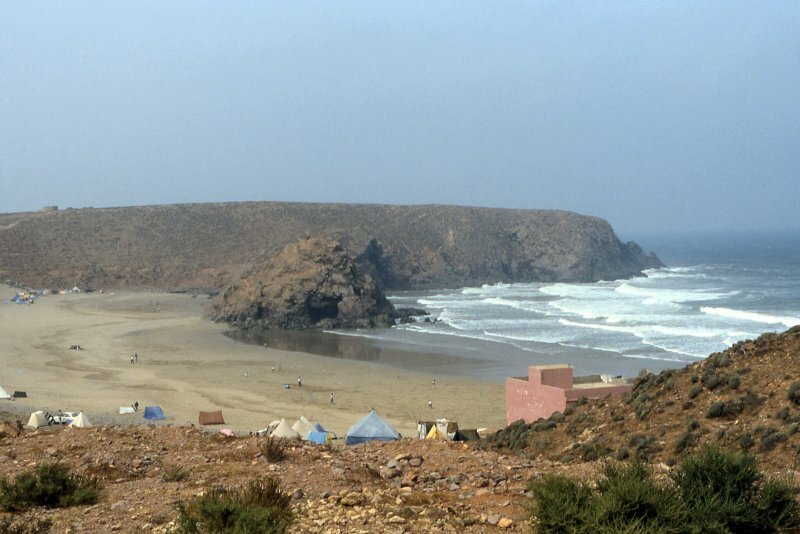 Departure to Agadir, and a visit to Sidi Kaouki beach and Taghazout station. A sensual evening facing the mighty Atlantic at the main beach is something to look forward to. 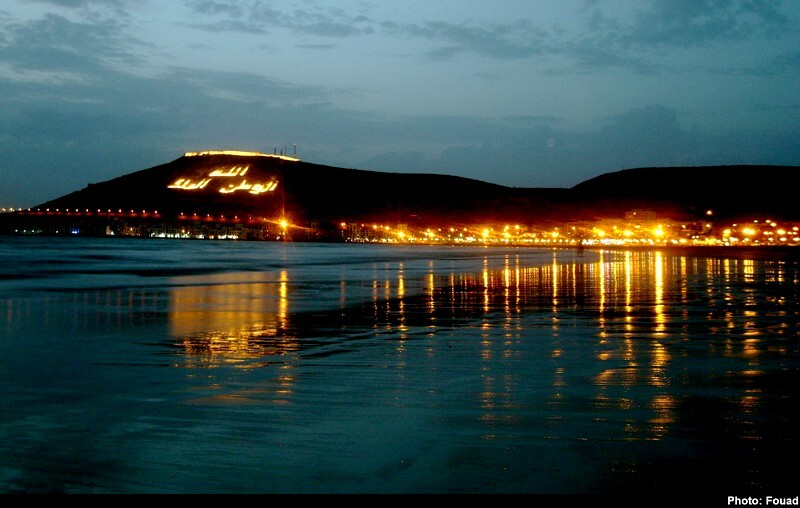 3 Day : Agadir, Sidi Ifni. After breakfast, we will leave for Sidi Ifni passing by Tiznit (capital of silver jewelers), visit Aglou beach, and the road continues alongside the beautiful coast offering a panoramic trip full of emotions and romance until we reach the small and peaceful city of Merlifte, before finally reaching Sidi Ifni, where we will spend the night in a hotel. 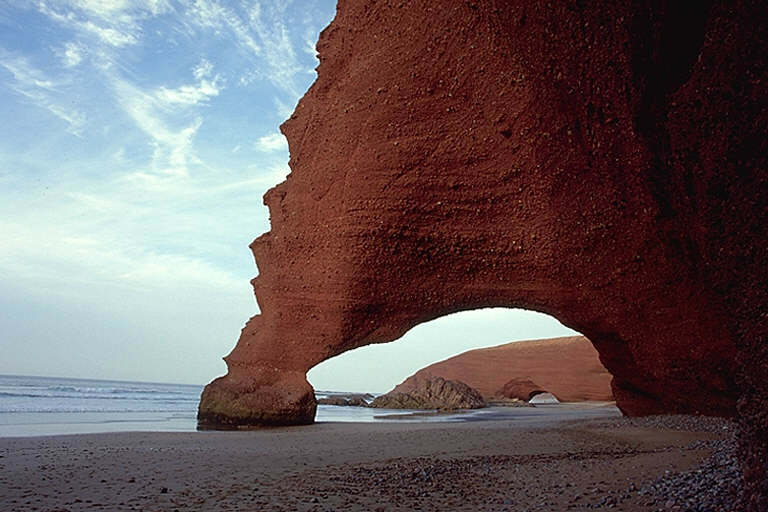 4 Day : Sidi Ifni, Tafraoute. 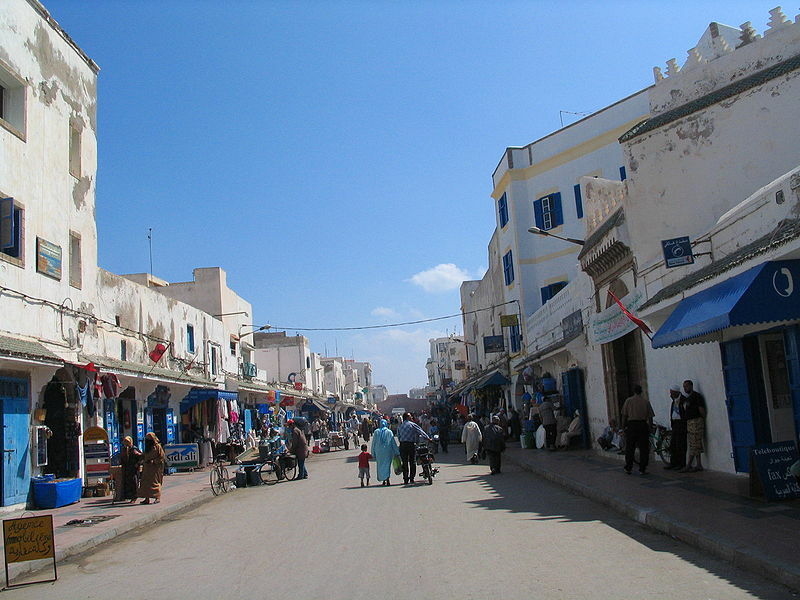 Special day: after visiting the city of Guelmim, we will head for Tafraoute, where you can hear a music that makes you recall Jamae Elfna square breaking the peaceful silence of the Anti-Atlas, in this Soussi village, popular with its almond trees, its Argan oil, and its traditional slippers. Snuggled in an enchantress valley, Almen, near Tafraoute is the perfect place for hiking on foot or on the backs of donkeys. 5 Day : Tafraoute, Taroudante. Departure passing by Chtouka Ait Baha, and a visit to Taroudant, its ramparts and souks full of colors and scents. 6 Day : Taroudante, Marrakech. Via the N’test pass in the high Atlas, we will visit the Tinmel mosque, this small village hidden in the mountains, almost deserted nowadays, is one of the most important historical sites in Morocco, with its frequently visited mosque. 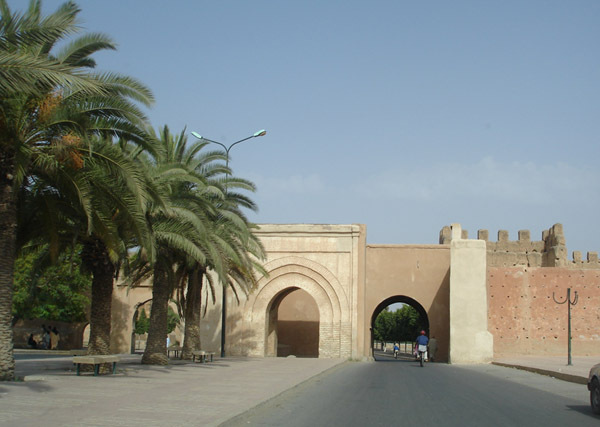 In the beginning of the 12th century, Tinmel, was the spiritual home of Ibn Toumert, Founder of Almohade movement, whose successor, Abd Elmoumen, will, by taking down Marrakech in 1147, become master of Morocco. After this enriching and passionate walk in history, we will travel back to Marrakech through Ouirgane and Asni.